Your Centerville dentist utilizes state of the art dental equipment and tools when doing dental exams and cleanings. Looking for the root of any dental issues. X rays spot dental issues the naked eye can't see and allows Dr. Huffaker to analyze the best treatment. Eating certain foods and drinking particular beverages can lead to demineralization in the mouth. Without remineralization to repair the enamel layer leads to tooth decay. Fluoride helps restore teeth by making the mouth more resistant to acid attacks from plaque bacteria and sugars in the mouth. Dental Sealants are typically put on molars (chewing occlusal) surfaces. This procedure is performed to help protect the teeth from decay. Grinding teeth at night can cause irreversible damage. Dr. Huffaker and his team of specialists will fit you with a comfortable night guard to keep teeth healthy. How's your bite? We can help the puzzle pieces in the mouth fit together perfectly if you're having problems. We offer the best bite adjustments in Davis County Utah. Modern and comfortable family dental practice nestled in beautiful Centerville, UT. Just minutes away from Bountiful and Farmington. We specialize in general dentistry and are committed taking care of you and your family. Schedule an appointment today! We employ only the best in the industry. We use the latest dental instruments and diagnostic equipment. We even have personal entertainment systems for the little ones to make their dental experience the best it can be. No problem. We're available 24/7 for unexpected dental emergencies. Give us a call and we'll do our best to accommodate. Ask about our first-time exam special. Mention that you visited our website. 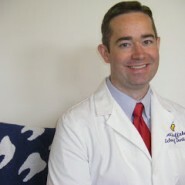 Dr. David M. Huffaker has been practicing dentistry for the last 12 years. He is your Centerville Dentist. Leading experts in Dental Care. I am retired and do not have dental insurance. Dr. Huffaker helped me with discounts and coupons to make my needed dental work affordable. Thanks so much! I would never go to anyone else. He's the best and very kind and gentle. We love Dr. Huffaker! We travel over 2 hours to visit him. He is kind, gentle and affordable! I had a crown done in my hometown and I needed another one done and so I tried Dr. Huffaker and he was almost half the cost and he did an excellent job! I was so excited that our insurance changed this year! I love Dr. Huffaker. Always a great experience. Dr Huffaker has "saved" me several times when other dentists wanted to "crown". While I enjoy being King and wearing a crown, I prefer it's only for a day. One of the most honest dentists. Highly recommend. If you're looking for a dentist Dr. Huffaker is amazing. Plus, his staff is some of the friendliest you'll ever meet.